Just a very easy way to get as many fps as you want in-game. Just have to modify the right .ini file! 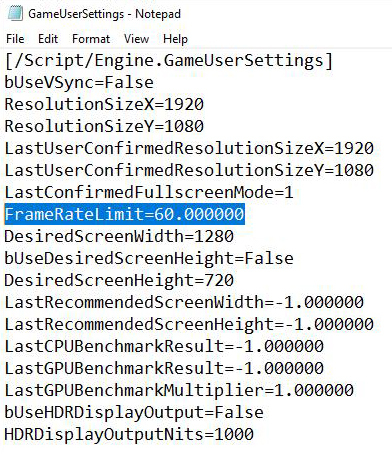 Then edit the file GameUserSettings.ini, and modify the line "FrameRateLimit=60.000000" to the number of FPS you want.